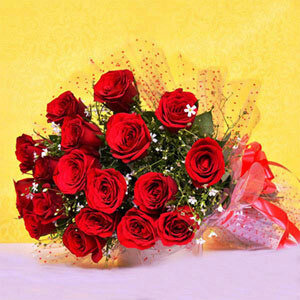 Your search for a delightful floral hamper ends here. 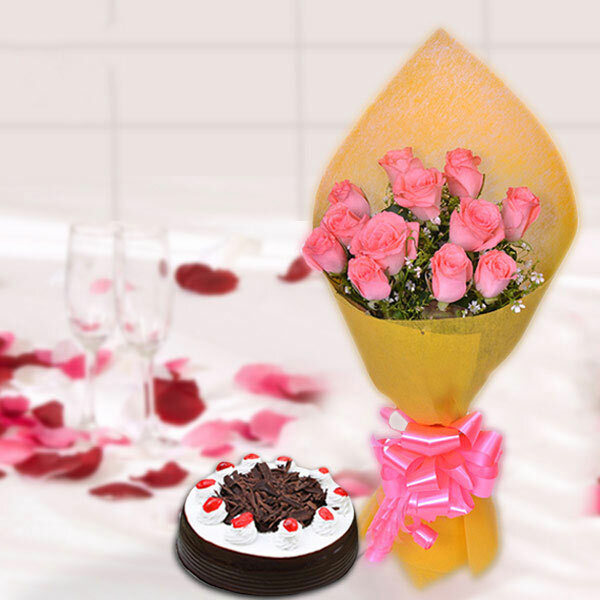 Get this lovely bouquet of blooms that includes fresh 12 pink roses wrapped in yellow paper with a delightful Black forest Cake of 500 gm to surprise your sweetheart on this Valentines Day. 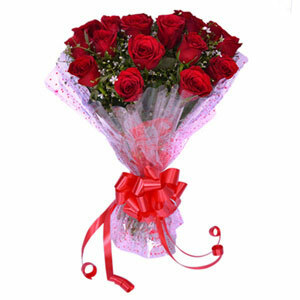 Ordered this beautiful combo for valentine’s day as well as birthday of my girlfriend. I received nicely wrapped flowers with this delicious cake packed nicely. It was delivered to me on the very next day after I placed the order which I was not expecting. Very nice!